This Afternoon... A 30 percent chance of showers. 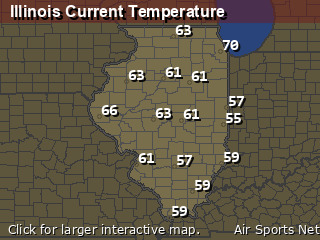 Cloudy, with a steady temperature around 63. South southeast wind around 5 mph. Tonight... Showers, mainly before 4am. Low around 47. Light and variable wind becoming north 10 to 15 mph in the evening. Winds could gust as high as 20 mph. Chance of precipitation is 90%. New precipitation amounts of less than a tenth of an inch possible. Friday... Partly sunny, then gradually becoming sunny, with a high near 63. Breezy, with a northwest wind 15 to 20 mph, with gusts as high as 35 mph. Friday Night... Mostly clear, with a low around 40. 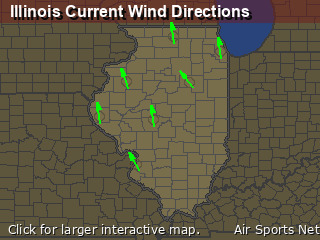 West northwest wind 10 to 15 mph decreasing to 5 to 10 mph after midnight. Winds could gust as high as 25 mph. Saturday... Rain likely, mainly after 1pm. Mostly cloudy, with a high near 52. East southeast wind 5 to 10 mph increasing to 10 to 15 mph in the afternoon. Winds could gust as high as 25 mph. Chance of precipitation is 70%. Saturday Night... Rain likely before 5am, then a slight chance of rain and snow. Cloudy, with a low around 36. Breezy. Chance of precipitation is 70%. Monday... Showers, with thunderstorms also possible after 1pm. Cloudy, with a high near 59. Wednesday... Showers likely. Cloudy, with a high near 69. Wednesday Night... A slight chance of showers and thunderstorms. Mostly cloudy, with a low around 52. Thursday... A chance of showers and thunderstorms. Mostly cloudy, with a high near 71.